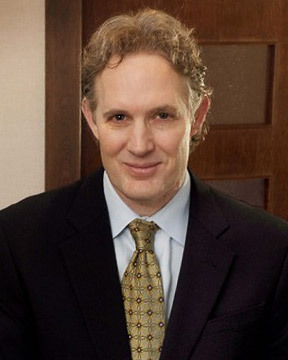 Dr. Peter Schmid is locally and nationally recognized as a respected leader in the facial plastic, cosmetic, reconstructive, head/neck and liposuction medical/surgical industry. In 1986, Dr. Peter Schmid graduated with Phi Sigma honors from the University of Health Sciences in Kansas City, Missouri. The completion of his residency in Otolaryngology, Facial Plastic and Reconstructive Surgery at Doctors Hospital (Columbus, Ohio) inspired Dr. Schmid to pursue the most comprehensive training available. In addition to five years in post-graduate surgical training, Dr. Schmid furthered his facial plastic surgery specialty training with a two-year fellowship in cosmetic, facial plastic, head/neck and reconstructive surgery. Dr. Schmid won coveted rotations with some of the world's pioneers of plastic surgery like Dr. Ivo Pitanguy (Rio de Janeiro, Brazil) and Dr. Pierre Fournier (Paris, France). Dr. Schmid furthered his extensive training with a two-year fellowship in cosmetic, facial plastic and head/neck surgery at the Midwest Institute of Cosmetic Surgery and Methodist Hospital (Indianapolis, Indiana). Dr. Schmid is Board Certified by the American Osteopathic College of Otolaryngology, Head/Neck and Reconstructive Surgery (1994). A profound respect for his professional mentors and a commitment to sharing knowledge acquired throughout the years led Dr. Schmid to training residents and physicians in his own facility. Today, Dr. Schmid provides continuing medical education to physicians in both surgical and non-surgical procedures and trains residents from around the country. He has also been the National Board Examiner for the Facial Plastic Surgery section of the American Osteopathic Board of Otolaryngology, Ophthalmology, and Head/Neck Surgery. He is also an accomplished sculptor, and the founder of the first of its kind educational program for doctors and medical professions, Sculpting for Surgeons. As a native of Colorado, Dr. Schmid is dedicated to building and maintaining a healthy community. Dr. Schmid regularly donates his time and expertise to children, men and women in critical need of care. For more than two decades, Dr. Schmid's personalized brand of aesthetic care has helped people nationwide achieve their aesthetic goals, improving their confidence and harmonizing their appearances.